Florida’s Space Coast is a wondrous place that visitors far and near take the time to visit while on their vacations. It’s such a beautiful area with tons and tons of things to do for visitors of all ages. From Kennedy Space Center and the Exploration Tower, to beachside helicopter tours and dolphin and whale watching cruises, every visitor can find something that will be fun and entertaining for them. Getting from one excursion to the next one can be quite scary, and stressful for those who are not familiar with the area. Too many people pay closer attention to their GPSs, and not enough to the road which causes plenty of accidents that could have been easily avoided. It’s smarter to use Port Canaveral transportation services. This will help to ensure the safety of your family or friends. Luxury Transportation Group USA offers complete Port Canaveral limo services throughout Florida’s Space Coast. Holidays and vacations are supposed to be times for relaxing and rejuvenating from the trials and tribulations of day to day life. Driving in the traffic of the popular Space Coast can certainly be a nail biting event. Using a company for Port Canaveral transportation services will truly providing you with a much more relaxing trip. Besides, it would be nice to travel in style inside of a high end Port Canaveral limousine. Surely, your family would be thrilled to ride in a wonderful luxury vehicle during their vacation. Luxury Transportation Group USA is the premiere provider of luxury transportation during Port Canaveral limo services. Groups of all sizes that travel to the Space Coast find that using Port Canaveral shuttle services makes their group outings much more enjoyable. There are so many benefits from shuttle services. Everyone will be able to be on the same minibus, making it easier to get group discounts at many of the attractions in the area. A Port Canaveral transportation company will also ensure that everyone leaves the activity and returns to the hotel safely an on time. 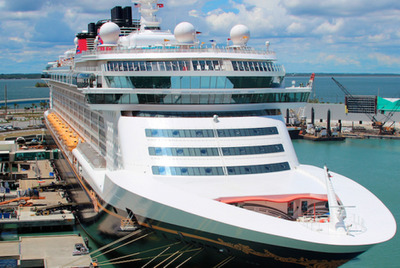 Luxury Transportation Group USA offers complete shuttle services for your group’s Port Canaveral transportation needs. Luxury Transportation Group USA is the most sought after Port Canaveral transportation services. They cover all of the Space Coast providing complete limo services for locals and visitors alike. Call 407-476-0429 for Port Canaveral transportation limo services, and Port Canaveral shuttle services.